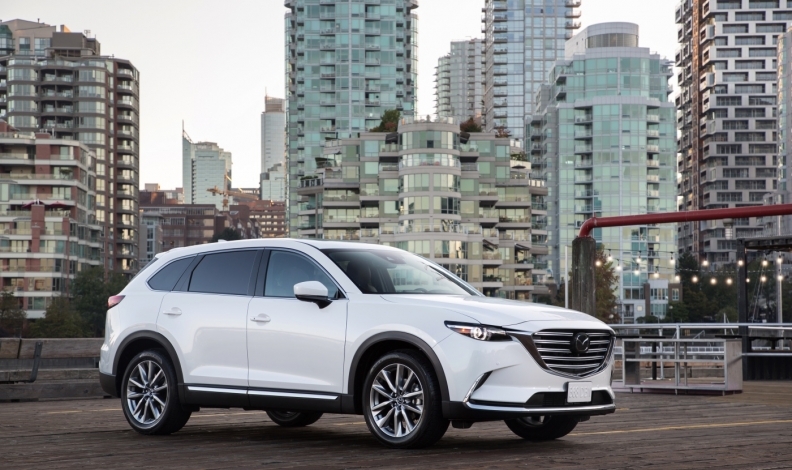 Sales in the intermediate sport utility vehicle segment have dipped so far this year but Mazda’s CX-9 three-row sport utility vehicle has been among those bucking the trend, Mazda Canada said. Segment sales to the end of September 2018 totalled 130,514, down 5.2 per cent from the same period last year, said Mazda Canada spokesman Chuck Reimer, citing data from Desrosiers Automotive Consultants. However, Mazda sold 3,344 CX-9s, an increase of 16.0 per cent. Among CX-9’s direct competitors, Toyota’s Highlander remained the leader in terms of volume, selling 11,312 units, down 4.1 per cent. The Nissan Pathfinder, at 5,346, registered the biggest decline at 35.7 per cent, while the Honda Pilot (5,910) was down 9.5 per cent and the Hyundai Santa Fe XL (5,004) dropped 5.1 per cent. Volkswagen’s Atlas registered the biggest gain over the period, selling 6,289 units, up 135.2 per cent year-over-year largely because it was only introduced in May 2017. Reimer said CX-9 sales have risen sharply since the introduction of the second-generation version for the 2016 model year. The updated 2019 CX-9 began rolling into dealerships in August.